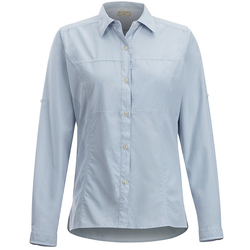 The quintessential travel shirt looks and performs flawlessly in a variety of situations. Contemporary fabrics are fastidiously engineered for practicality. 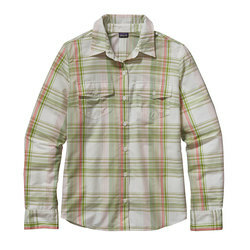 For example, some travel shirts wick moisture away from the skin, while also blocking the sun's unrelenting rays. 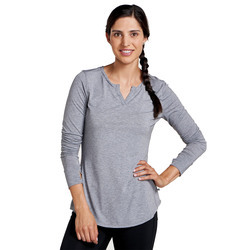 Some shirts are designed for wrinkle-free packing, so you will not have to look for an iron in the middle of an adventure. 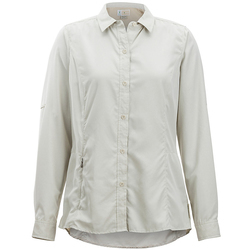 Collared button-down shirts are extremely adaptable, because they look just as stupendous on a hike as they do at a restaurant or party. 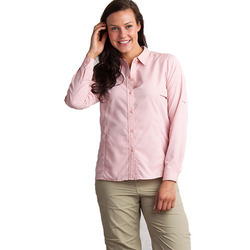 Many travel shirts come in practical neutral colors, such as white, khaki or gray. 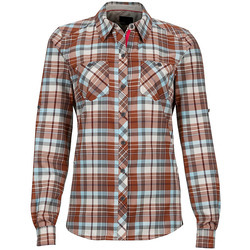 There are also plaid, purple, orange, black and other color options. 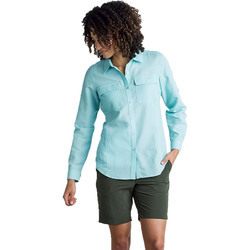 Superior women's trek-travel shirt brands The North Face, Patagonia, Ex Officio, Mountain Hardwear, Nils and Marmot.